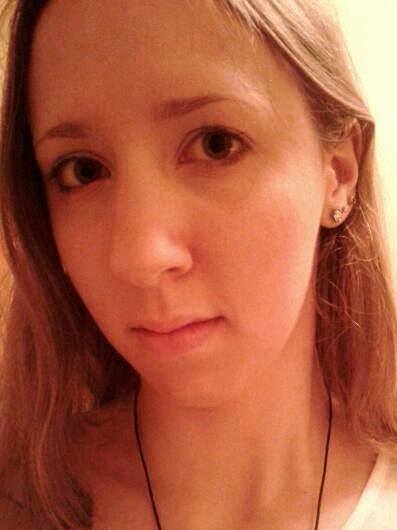 Day 3 of the August Blog Challenge, and time for an update. In case you missed my post explaining what the August Blog Challenge is all about, you can find that here. Just a quick note that days 1 and 2 were Instagram days, so make sure you're following me on Instagram so you don't miss out on all the future Instagram days! This one is easy. I don't have a favourite store, but I have a favourite type of store. Bookshops, specifically. Take me to any shop that sells books, and I'll be your friend for life. You can't beat the excitement of browsing a decent bookshop, or a well-stocked second-hand bookshop. Although I don't have a specific favourite, I do have several favourite bookshops, although of course stumbling across a new bookshop is always brilliant! For starters, any town which has not just one but two Waterstones' is always going to be a hit with me. Locally referred to as the 'old Waterstones', it is apparently the 15th best bookshop in the UK (according to The Independent) and can boast that its former employees include best-selling novelist David Mitchell. It's based in a lovely old building right in the centre of Canterbury and is full of character. It even has Roman remains (conveniently right next to the history section) in the basement and is said to be haunted. I stumbled across Foyles' flagship shop by chance a few years ago while I was exploring Soho, and have returned virtually every time I've visited London since. It's by far one of the largest bookshops in the country, boasting (apparently) 200,000 different titles across a staggering four miles of shelving. A book lover's paradise if ever there was one. 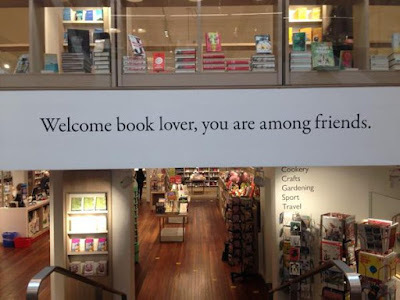 As the large sign above the stairs proclaims as you walk in: "Welcome book lover, you are among friends." Harrowden Books of Finedon is my favourite local independent bookshop, and claims to be the best in Northamptonshire. The shop is crammed full of reasonably-priced and good condition new and second-hand books, and (surprisingly for a second-hand bookshop) it's actually really well organised. I've picked up some great finds there in the past. They also have a range of antique books, which are well out of my price range but still nice to admire from afar! There are two great second-hand bookshops in Wells-next-the-Sea, North Norfolk. One is located at the top of Staithe Street, and it's where I used to go to buy Enid Blyton books with my pocket money when I was little! The other is a little further inland - the Old Station Pottery & Bookshop and, as the name suggests, it is housed in what used to be Wells' railway station. The shop boasts an eclectic mix of second-hand books and pottery, which is made and sold on site. It's like a maze inside the shop - another little room is always hiding round every corner, meaning you're always stumbling across hidden treasures. What's your favourite bookshop? Let me know in the comments below!